We had friends come to visit! We love it when that happens. 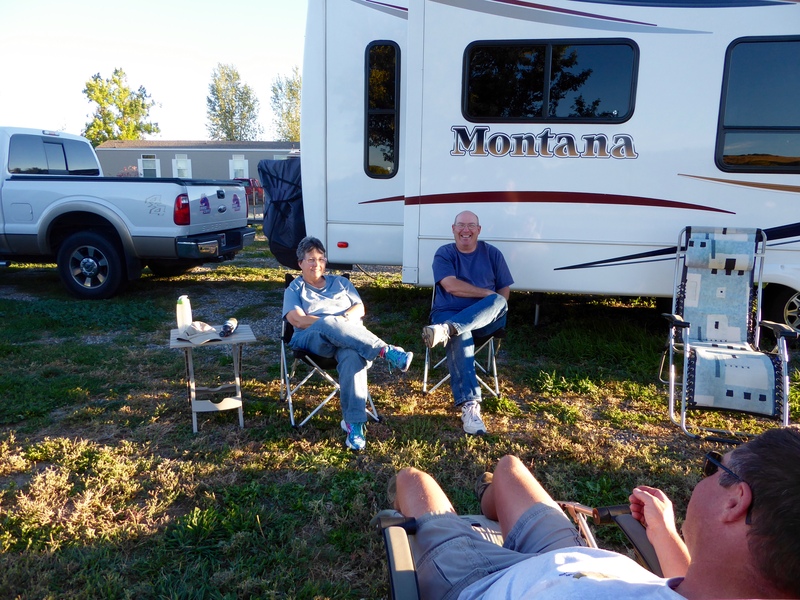 Mark and Teri left Farragut and routed through Billings to see us. Thank you Mark and Teri! They drove out to see us and our park. Randy and Mark played disc golf both days and were too busy having fun to take any pictures. They replayed the two courses Randy had already played – one being Diamond X – a national destination course. With Mark’s pointers and encouragement, Randy is having fun and becoming quite interested in disc golf. I am really bad at throwing frisbees, but I might try. 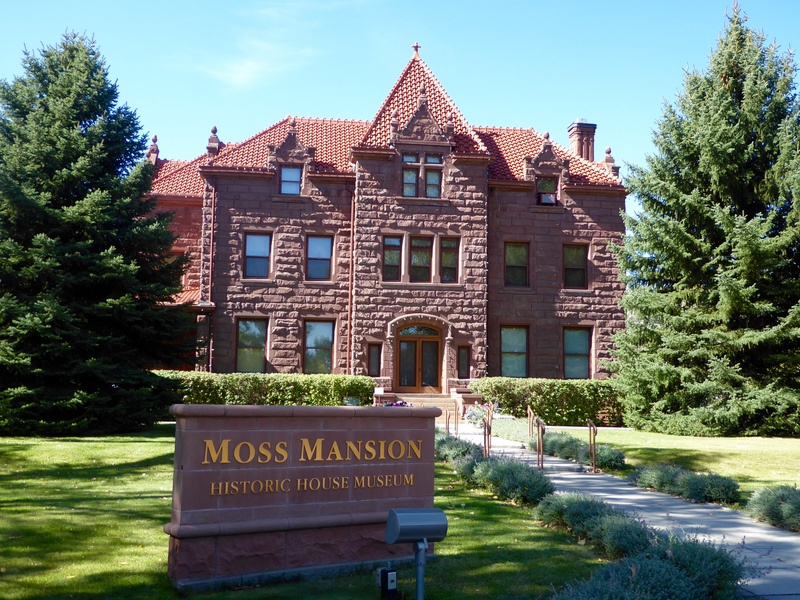 Teri and I went on a tour of the Moss Mansion in Billings. It was built in 1903 at a cost of $100,000 – back when houses cost about $3000. It was quite lovely but one thing that puzzled me was that there were four or five washrooms adjacent to bedrooms, but only two had toilets. If you are going all out (and they did) why only two toilets? They also had a telephone in the Moss Mansion 2 years before phones were available in New York City. Definitely worth the stop and tour if you like this kind of thing – and I do. Of course, going out to eat was on the agenda. 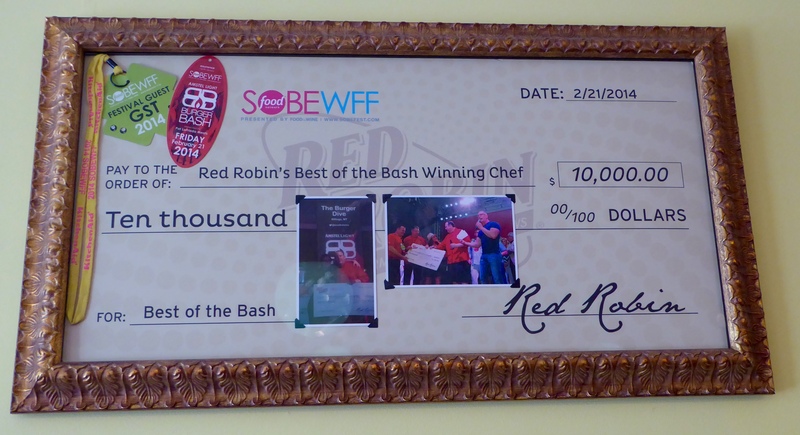 We went to the Burger Dive which won the National Red Robin Burger Bash in 2014 for their Black Sabbath Burger. 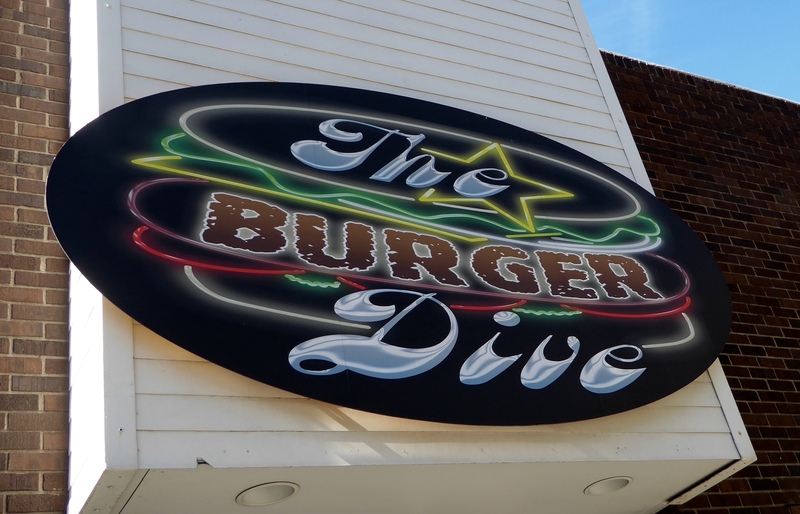 Mark, Randy and I all had the winning burger and we approved. Red Robin served this burger on their special menu for a time – maybe still does. 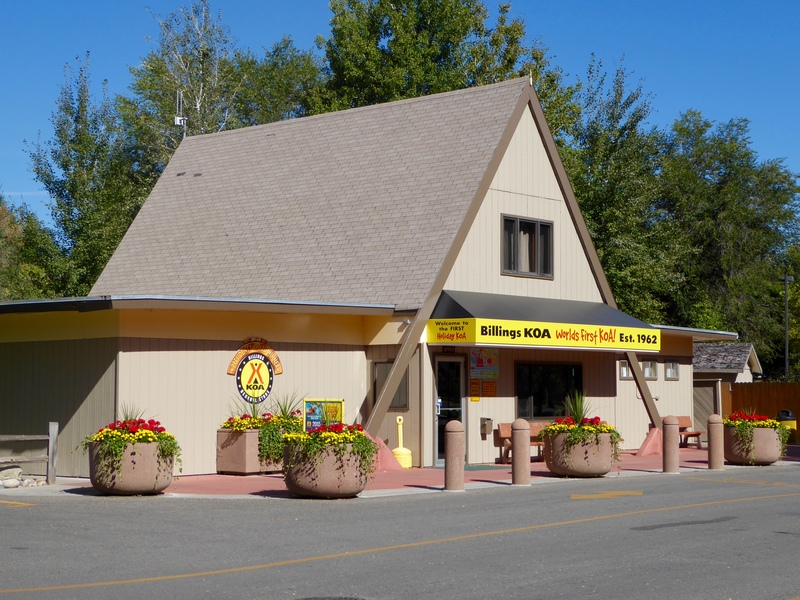 Mark and Teri are staying at the Billings KOA – the very first KOA campground established in 1962. We wouldn’t have known that if we hadn’t gone to see them. We said our goodbyes this afternoon. Tomorrow they take off on their journey and we go back to work for one final stretch. We will be taking off on our journey soon. 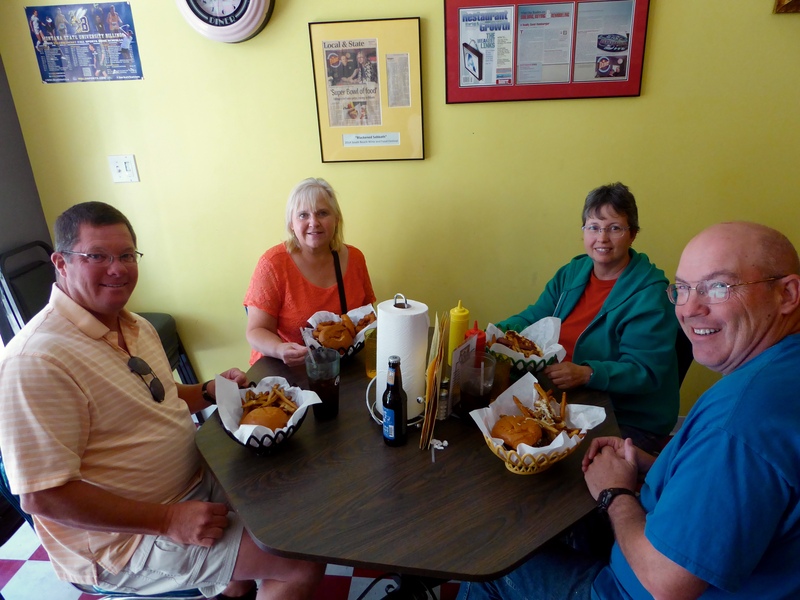 We had a great time visiting with you two and look forward to the next time our paths cross! We will be keeping track of your travels as you move on from your current spot. We’ll try to catch up with you next time! Thanks so much for coming!